T-Mobile CEO John Legere sat down for a one-on-one interview with Yahoo Tech's David Pogue on Tuesday to discuss UnCarrier 8.0, the carrier's latest bid to take on the wireless industry with compelling new offers for customers. 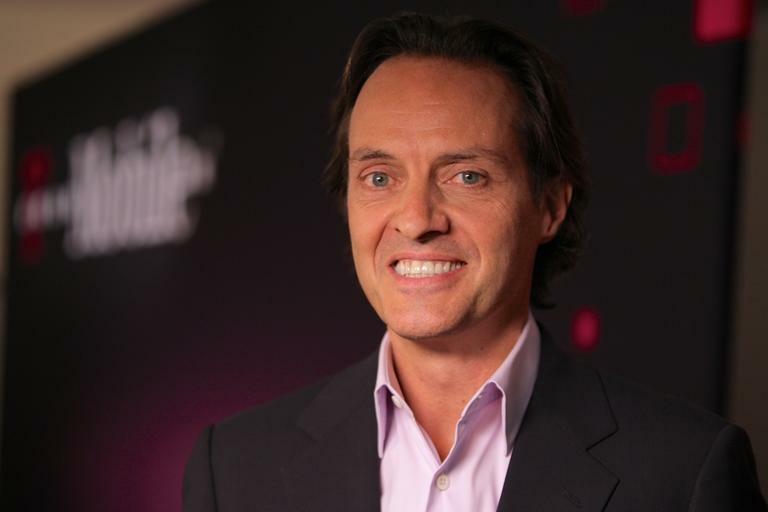 In the interview, Legere discussed the latest offer from T-Mobile, dubbed Data Stash. Data Stash "is included at no extra charge for every single new and existing T-Mobile – individual, family or business – on an eligible postpaid Simple Choice plan who buys extra high-speed data for their smartphone or tablet" (emphasis ours.) That means customers who have at least a 3GB LTE plan with T-Mobile can roll their data over. Data Stash will go into effect starting in January of next year, and will allow customers to create a stash of data that's rolled over if it isn't used at the end of the month. T-Mobile said to kick it off, it's offering all customers a data stash that starts with 10GB of "free" data. Then, any data that's left over, is added to that 10GB data stash that T-Mobile is including in the deal. "There's no limit to how much data you can collect in your Data Stash," T-Mobile explained, though it expires a year from each month. This isn't really necessary for folks on T-Mobile's unlimited LTE data plans (Legere suggests that's about 20 percent of T-Mobile's customers) but, as our editor-in-chief Sean Aune pointed out to me, it might make T-Mobile's 3GB LTE and 5GB plans more attractive to folks, particularly if you're not using all of your data each month. Of course, as they become more attractive, it also seems likely T-Mobile customers on 1GB plans may want to upgrade, which is probably the goal here. When you pay extra for data, you should keep it! All lines 3GB and above get Data Stash, only from @TMobile. And 10GB free to start! Some small print caveats: T-Mobile said that its 200MB of free data, available to all, don't carry over into the data bucket. This also doesn't work with Match Your Data or other T-Mobile discounts, the current 4 lines for $100 promo, 1GB Simple Choice options and prepaid, and does not begin carrying over until after the free 10GB of data runs out" (emphasis ours.) That 10GB of free service is available until Dec. 31, 2015. It's a compelling new option, but it may not be for everyone. AT&T and Verizon, for example, offer data buckets that an entire family can use each month without having to worry about slowdowns and, for some folks who have multiple lines and devices, that may be a better option. However, if you're worried about paying for additional data you don't fully use, then T-Mobile has you covered.